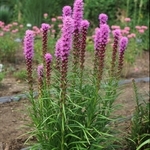 Liatris spicata 'Kobold'. 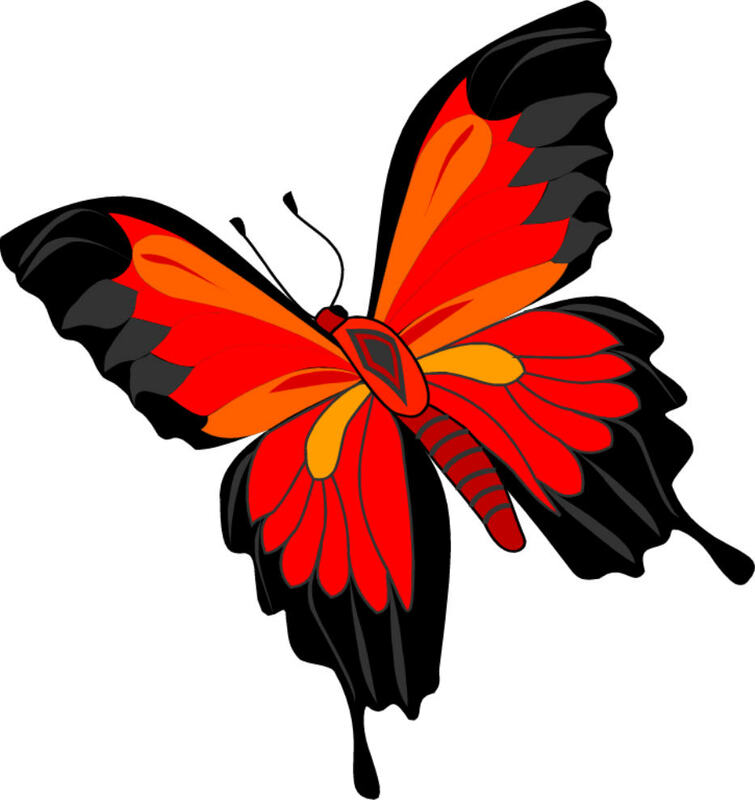 This easy-to-grow classic native perennial is a popular selection for butterfly gardens. It will adapt to just about any soil condition. The stiff vibrant flowers make superb additions to cut flower bouquets. In the garden Kobold's upright form is cherished for its vertical element. Deer-resistant. 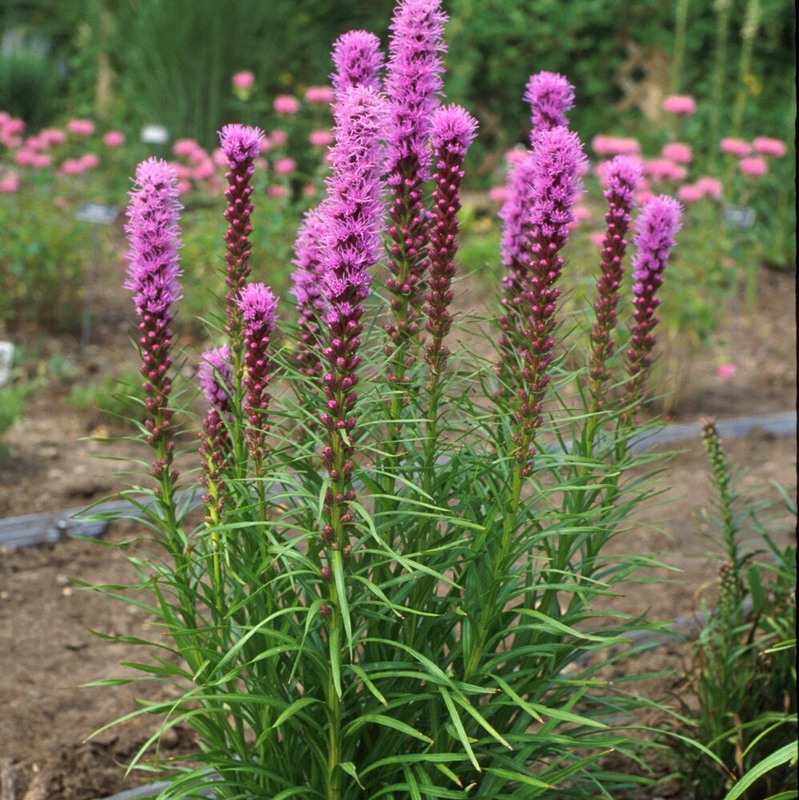 Also known as Gayfeather or Blazing Star.